The Sony HVO3000MT (HVO-3000MT) Medical Video Recorder is the world’s first 3D medically compliant HD video recorder that provides superb picture quality for both 2D and 3D video recording. Users can record up to 31 hours of high-quality images onto the robust internal hard drive and to a variety of removeable media including Blu-ray™ disk, DVD disk, USB removable hard disk, and USB flash memory. Built on the same platform as the popular HVO-1000MD, the Sony HVO3000MT (HVO-3000MT) Medical Video Recorder easily connects to the hospital network and offers live streaming of video recordings to medical staff members or students outside the OR. 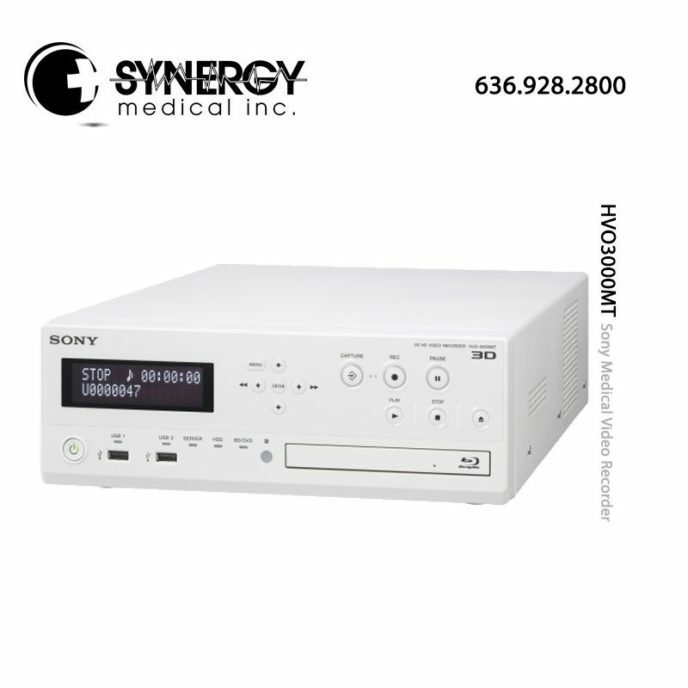 For more information regarding the Sony HVO3000MT (HVO-3000MT) Medical Video Recorder please visit www.pro.sony.com.